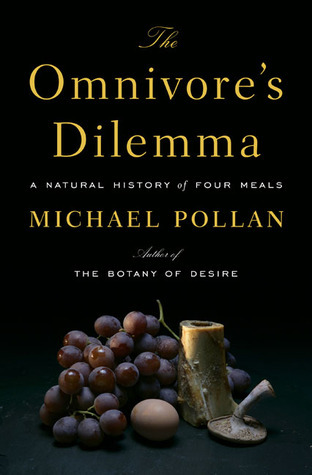 The Omnivore's Dilemma is actually much simpler than I expected it to be. It comes down to one very basic question: what should we eat? Pollan takes three different tracks throughout the book: the industrialized track (prepackaged, fast food, typically corn-based), organic food (locally produced, seasonal, made without hormones and antibiotics), and foraged food (hunting, gathering, gardening). In each section he eats a meal created using only ingredients made with those products. I think the writing was well-done. As far as research is concerned, it seems as if Pollan had many first-hand experiences, but fewer data sources. I've heard critiques that his views are simplified. However, I think Pollan succeeds in making a sometimes difficult topic approachable. I felt like Pollan approached the subject of where our food comes from and why it matters from a down-to-earth perspective that is easy to relate to. He doesn't advocate immediately cutting out all processed foods. I've been really turned off by books that I feel like are attempting to guilt me into eating organic or paleo or seasonal or whatever. Pollan did a great job of motivating me to start off with baby steps. Since reading this we've cut out foods with high fructose corn syrup and anything partially-hydrogenated. My other fear with this book, besides being guilt-tripped, was that the author would be boring. After my experience with Animal, Vegetable, Miracle, I was leery of more preachy, not-so-interesting food books. But Pollan really made the topic fascinating - probably because he did go on so many trips and attempt to experience first hand as much of the food industry as possible. 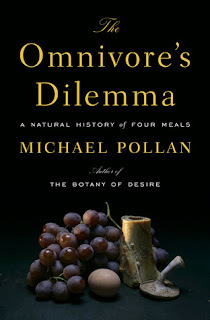 I also liked that he addressed things like the difficulty of finding seasonal produce in some areas, the cost of eating organic, and other issues that I feel like many other books don't address. I wouldn't take this book as my new nutrition Bible, but I did find it very motivating. Since reading it, we've changed some of our eating habits and have plans to change more over time. I liked that Pollan acknowledged the problems with changing eating habits and the associated costs and took a moderate view. What I took away from the book was to, when possible, choose the least processed food product you can afford and have access to. Thanks for the review. I've been wanting to read this book after hearing interviews with Pollan. Like you, I'm a little bit nervous that it will require a lot of me. Once you read it, let me know. I'd be curious to hear what you think.